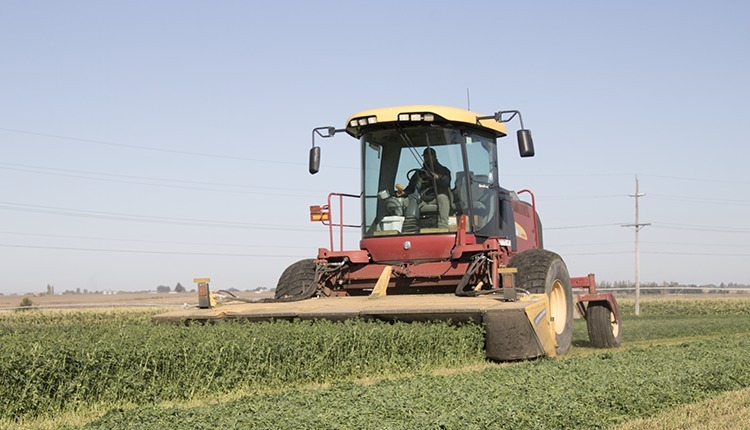 The latest Hoard's Dairyman Bull List is a sure sign that breeders and dairy producers across the U.S. have bought into the science of genomics. As you may recall, we can learn 60 to 70 percent of the genetic evaluation information by simply pulling hair and studying the DNA found at its root. 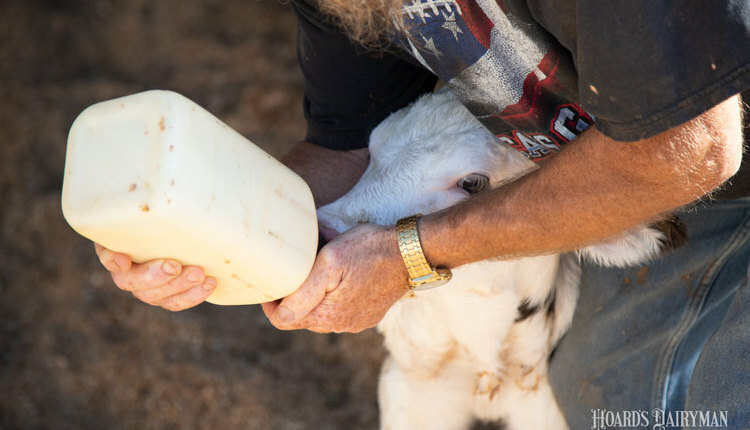 The early testing, which can take place the day a calf is born, gives us a five-year head start on learning more about a dairy animal's genetic potential. In some cases, the genetic knowledge we gain is double pedigree parent average alone. Just how quick has been the buy-in on genomics? 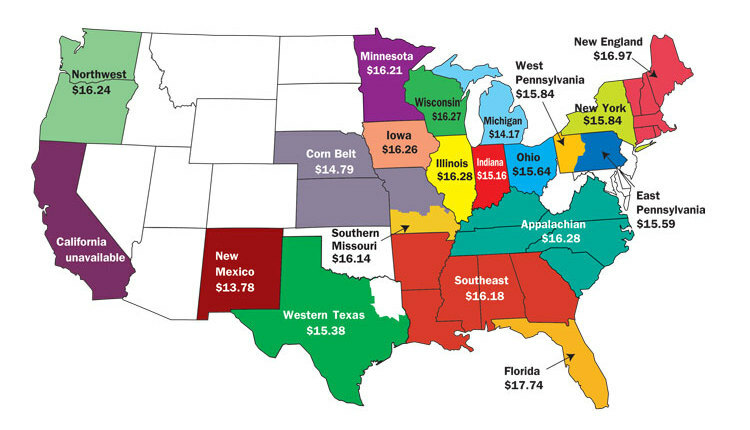 In April 2012, 45 percent of all Holstein and Jersey bulls declared for sale by A.I. centers were genomic bulls . . . or those without daughter records. Just three years later, that number has soared to 66 percent among Holsteins (1,556 of 2,347 bulls) and Jerseys (340 of 478 bulls). 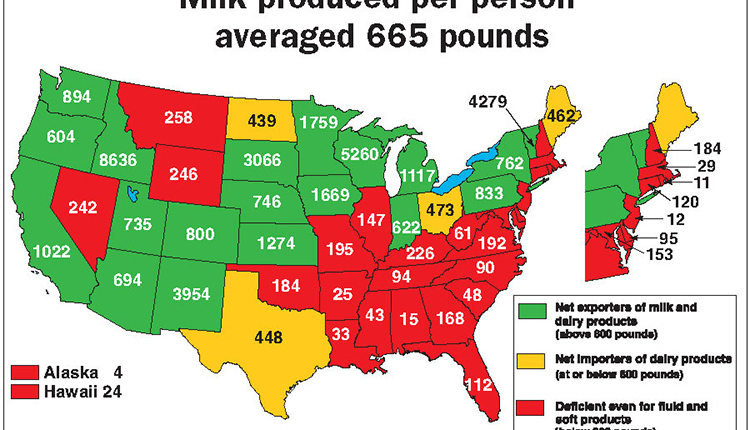 At 71 percent, Jerseys were even slightly higher than the two-breed average. Brown Swiss and Ayrshire also have genomic testing available. 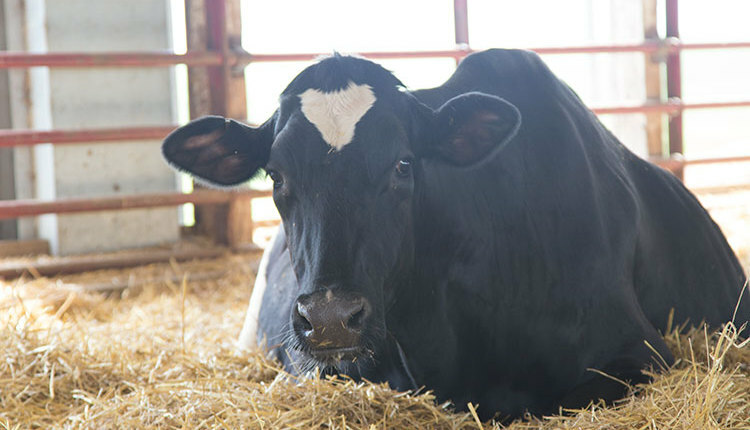 Though both breeds are relative newcomers to genomic circles, the trend is similar in the Brown Swiss breed with 66 percent of bulls being tested only through the DNA-based technology of genomics (91 of the 138 bulls). The newest users, Ayrshires, have 44 percent of bulls tested only with genomics. The Hoard's Dairyman Bull List will be available to all our readers when our April 25 issue hits the mail later this week. However, you can receive an early copy of the list by clicking the link. 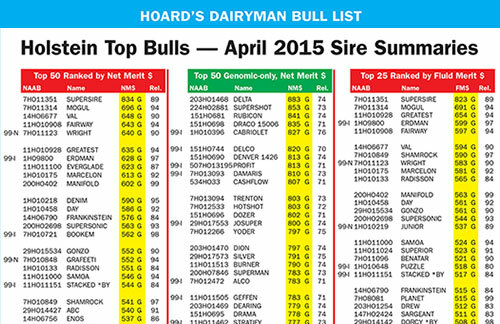 Looking specifically at the April 2015 Hoard's Dairyman Bull List, we list the top-ranking bulls for seven breeds. 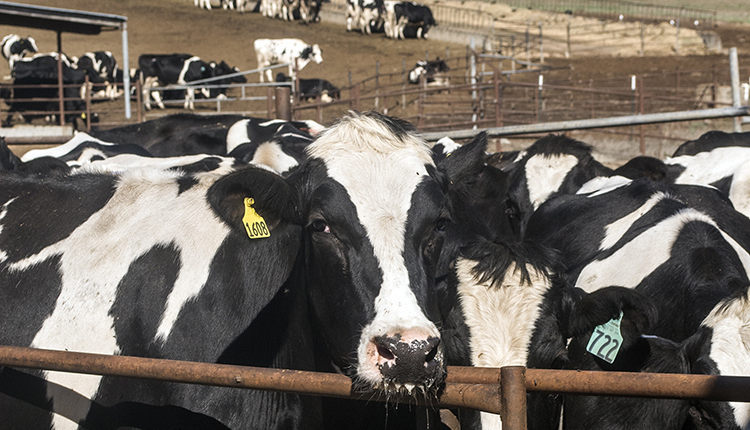 Holsteins are ranked by Net Merit, Fluid Merit, Cheese Merit, Grazing Merit, udders, feet and legs, somatic cell score, pregnancy rate, and sire calving ease. 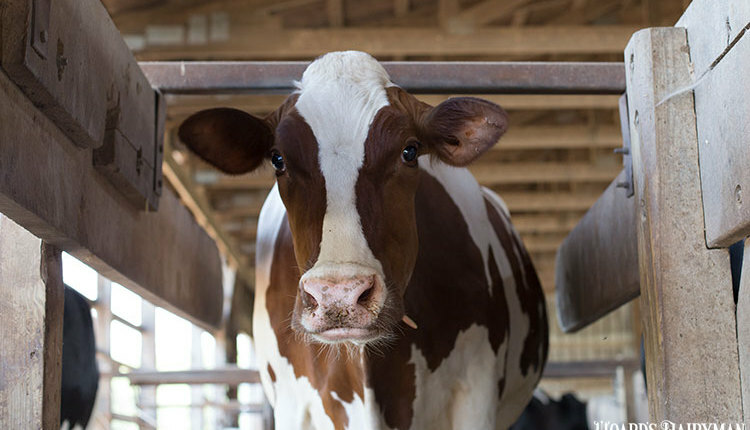 Jerseys are ranked by Net Merit and Jersey Performance Index (JPI); Brown Swiss are ranked by Progressive Performance Ranking (PPR); and Ayrshire, Guernsey, Milking Shorthorn, and Red and White are ranked by Net Merit.